Contribute to the British Council’s English business areas through leading on the insight, competitive & market intelligence. To contribute to the British Council’s English business areas through leading on the insight, competitive & market intelligence, feeding into marketing and business planning. To deliver and evaluate marketing and communication activities, manage the British Council brand, and promote British Council’s English products and services to potential and current customers and clients, contributing to building long-term relationships with all major stakeholders and target groups. Marketing and Sales department consists of Marketing officer - grade H reporting to Marketing Manager - grade G who reports to Head of Marketing & Sales - grade F. The main purpose of the department is to provide the Teaching Centre and Exams with an efficient, creative, integrated marketing and trade support strategy and activities that effectively promote Teaching Centre and Exams products, services and events. - Work closely with country business teams and regional English marketing team to support and execute projects and initiatives that support the regional and local short and long-term marketing strategy and ensure the enhancement of the customer experience. 1) Execute the external communications strategy for Teaching Centre and Exams, paying particular attention to the use of direct marketing to support the strategy. 2) Support all market research efforts. 5)Implement individual marketing plans for Teaching Centres and Exams, as well as integrated marketing plans that capitalise on strengths of both business areas. 6) Track performance of marketing campaigns through measurement and analysis and accordingly collaborate with internal departments to develop impact and ROI reports. 7) Responsible for all marketing-related administrative tasks, including set-up for English marketing events and meetings, scheduling meetings and telecons, and processing purchase orders. e. Collaborate with Regional and Country Marketing, English and Customer Services colleagues to localise and execute campaigns and measure marketing initiatives. 9) Brand management across all British Council centres and partner premises where British Council English products and services are offered: including style of communication and British Council branding, and identity standards of the premises. - Internal: Director English; TC management leads for Adults, Young Learners, Corporate Services and Teacher Training; English for the Future Project Manager; local and regional Marcomms teams, Customer Services Team, Exams management team. - External: To develop and maintain active relationships and networks with marketing & research agencies, partners, suppliers working in marketing and communications business in general. •Unsocial/ evening working hours and weekend work may be required. •Participation in business related events is often required. 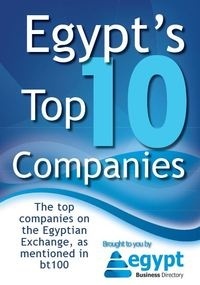 •Although uncommon, over night business trips inside and outside Egypt may be occasionally required. -Excellent spoken and written English. -Excellent spoken and written Arabic. *Please note that the application form is a mandatory form for being shortlisted.